Our purpose is based on our belief that behind our commitments is an understanding of the possibilities to raise the standards of living. We hold an infinite sense of responsibility and respect for mankind by focusing on our core elements of design, quality, affordability, and community. To create exceptional developments that raise the standards and the value of living for our customers by harmoniously blending exclusive quality and efficiency through ingenious thinking and continuously challenging new frontiers within economical ranges. To become a trusted lifetime partner with our customers. We will bring a new prospective to real-estate development through innovative solutions based on the community needs and with our diverse team we will provide responsible development to our community while achieving stability and security for now and future generations. Whether it is a new concept development or promoting an existing concept, we aim to contribute to the sustainable development of society and the environment. We aim to elevate and transform the living trends by raising the standards for the real estate development in the region. We will exert our maximum effort, allocate available resources, and utilize our knowledge to secure the goal of obtaining and creating socially and financially responsible projects, making an economical and innovative development become a reality. Development – Lifestyle Developers is a full-service development company driven by a diverse and talented professional team with a combined knowledge of all phases of the development process. Through our developments, we have established long-standing relationships with the community. These relationships have positioned Lifestyle Developers as the preferred, upcoming and internationally acclaimed real estate developers that raise the standards for residential, commercial and mixed-use developments. Acquisition & Reposition – Lifestyle Developers’ acquisition strategy is based on superior knowledge of the MENA region. We are well positioned to capitalize on opportunities. We quickly analyze and close transactions – a critical capability in today’s market. We are characterized by our ability to perceptively select project locations, and superior market knowledge. Lifestyle Developers has an established reputation of one of the region’s finest developers of prestige and affordable new developments. Consistently groundbreaking in its approach, the company creates superbly designed properties that continue to exceed expectations and raise the standards of living. 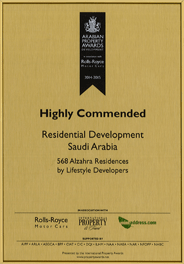 As award-winning developers, we know that quality takes precedence- from choosing the right location and style of development to the construction processes we practice, the materials we use and the specifications we put into our developments. 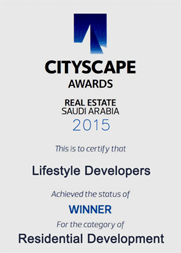 Lifestyle Developers developments are not just built for today. They are designed to enhance the neighborhoods in which they are located permanently. We aim to address the needs not only of our customers but their neighbors and the broader community of which they are apart. It is a long term view- we aim to create exceptional places for people to live, work, and relax in and build communities that will thrive both today and for years to come. Our developments have a unique relationship with their users. We incorporate custom features and employ project-specific design elements, upholding their character for generations to come. We pledge to continuously exceed expectations and to ensure that our developments will seal their place in the heart of our communities.